A few clones was introduced to Japan in 1979 and 1980,but has not bloomed yet. Flowers:White,6-7 petals,10-12cm in diameter.Flowering in November to January in south China. 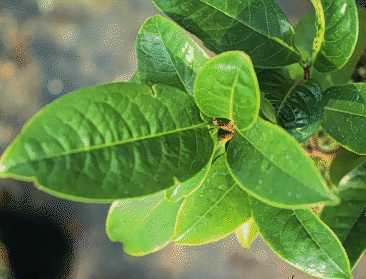 Leaves:Elliptic to oblong-elliptic,large,9-15cm long and 5-9cm wide, shining,yellow-green,impressed along veins. Cultivated in south China as oil plants.Its capsules are especially large,and is said to become as large as 13cm in diameter. 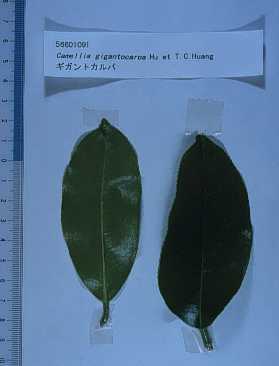 This species is difficult to graft on either C.japonica or C.sasanqua.